February 13, 2018 December 29, 2018 - by Owen - 11 Comments. It’s that time of year again. 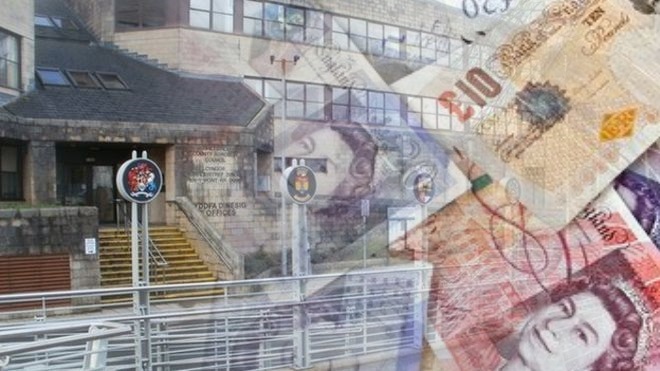 The time of year we learn what cuts and savings will be made to Bridgend Council services and how much Council Tax is set to rise. Due to new spending commitments imposed upon them by the Welsh Government (lifting the capital limit for residential care, small business rate relief and homelessness prevention), BCBC had additional spending commitments of £479,000 compared to last year. However, Welsh Government policy this year has been to ensure no council in Wales sees a cut greater than 0.5% of their funding grant. Despite projecting a £1.25million under-spend in December 2017, BCBC had to find just over £6.1million in cuts/savings for 2018-19 – an increase of around £300,000 on 2017-18. 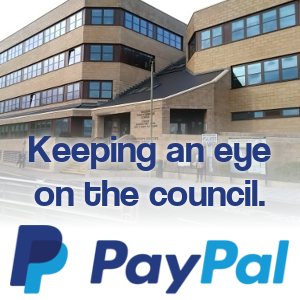 The council predict they’ll need to cut/save £32.6million in total by 2021-22. 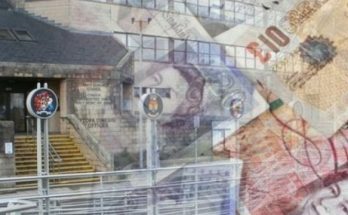 There won’t be a cut to the schools budget this year (as there was last year) as the budget has been frozen, but cuts for future years have been factored in. 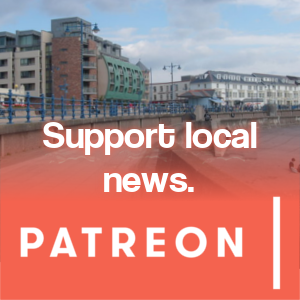 Councillors are set to vote on the budget later this month, though as Labour are a minority administration it’ll need the support of some opposition councillors. There are no significant new school projects due to start during 2018-19, but £3.3million is committed to finishing existing projects, including the new Bettws Primary/Ysgol Cwm Garw, new Brynmenyn Primary and new Pencoed Primary. £1.5million towards Extra Care facilities (which are currently under construction in Maesteg and Ynysawdre). £600,000 towards a children’s residential care hub at Newbridge House. £2.5million towards continuing sea defence improvements in Porthcawl. £1.3million towards a new community recycling centre in Pyle. 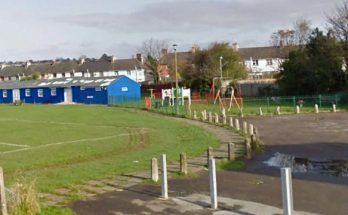 £1million towards parks and pavilions (though this is likely linked to Community Asset Transfers). £1.9million this coming financial year towards the Cardiff City Region Deal. £2million for road and footway resurfacing. £2.4million for the “Llynfi Valley Redevelopment Programme” (I’m not entirely sure what this is). £3.8million for the relocation of depot facilities from Waterton to Bryncethin. 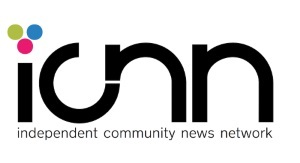 £2.7million towards disability housing renewal grants. Council Tax is set to rise by 4.5% in 2018-19, meaning the average Band D bill will rise to £1,395.51 (+£59.79). The South Wales Police & Crime Commissioner, Alun Michael (Lab), will increase the policing precept by an inflation-busting 7% to £233.52 (+£15.28). 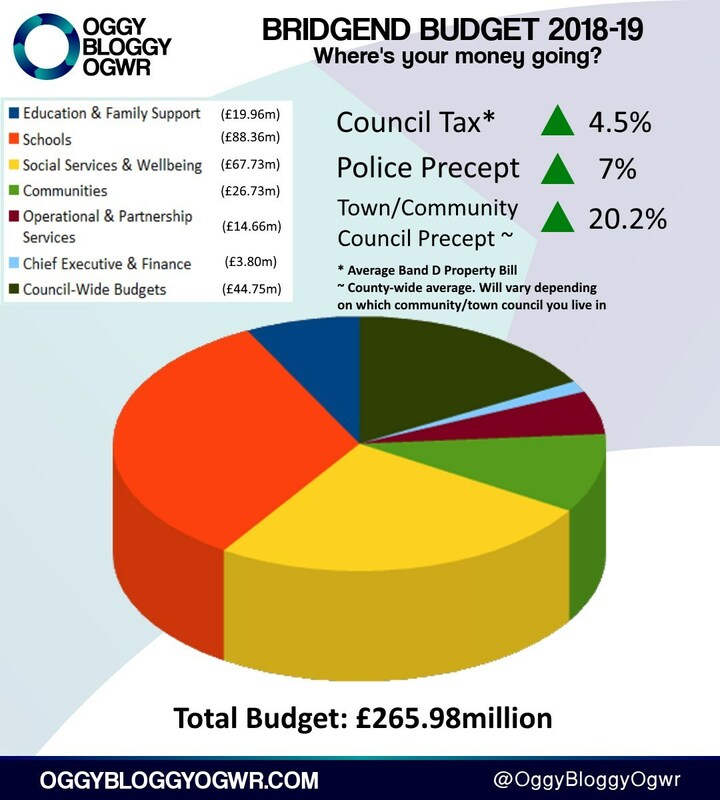 The average Town & Community Council precept will rise by a whopping 20.2% to £46.76 (+£7.84) – though this will vary depending on which town or community council you live in – bringing the grand total average Band D bill for 2018-19 to £1,675.82 – an increase of 5.2% on 2016-17. Planning services will charge to provide copies of planning documents, starting at £1 for an A4 sheet up to £20 for an A0 sheet. Building regulations fees will rise by 5% – meaning an average increase of £27 for a householder project.